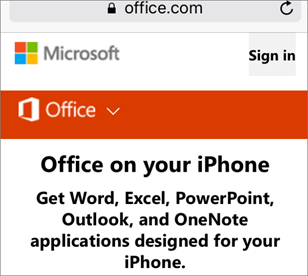 On your mobile device, open a browser, and go to office.com. Choose Sign in. Type your Skype for Business name and password (the one your admin just sent you when they reset it), and choose Sign in. You'll be prompted to enter the password your admin sent you again, and to type a new password. Press Update password and sign in when done. 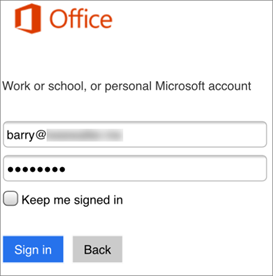 Open the Skype for Business app and sign in with your new password. Click the button below to get a new one. 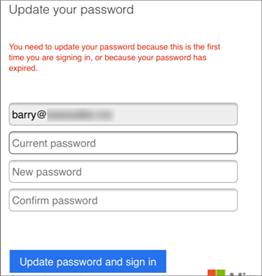 Your Skype for Business account and password are the same as your Office 365 account and password, so use these instructions: I forgot the username or password for the account I use with Office. Skype (the free app) and Skype for Business are two different services. Open a browser and go to Skype.com. Follow the instructions on the page. If you forgot your password, it will give you the option to reset it. Need help signing in to Skype for Business on a mobile device?